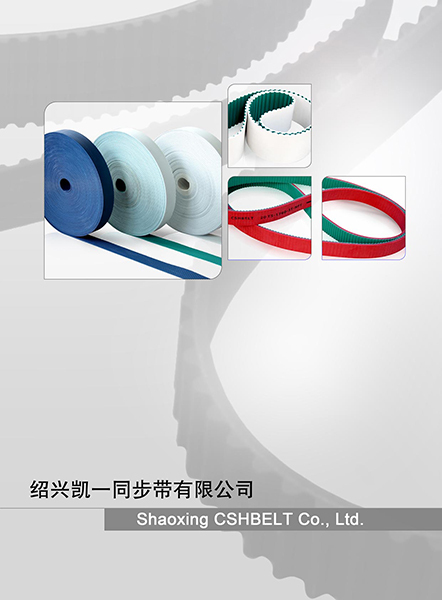 Best Seller PU Open end Timing Belts Supplier | Shaoxing CSHBELT Co., Ltd.
CSHBELT polyurethane timing belts are manufactured in thermoplastic polyurethane and various tension members by extruded process. 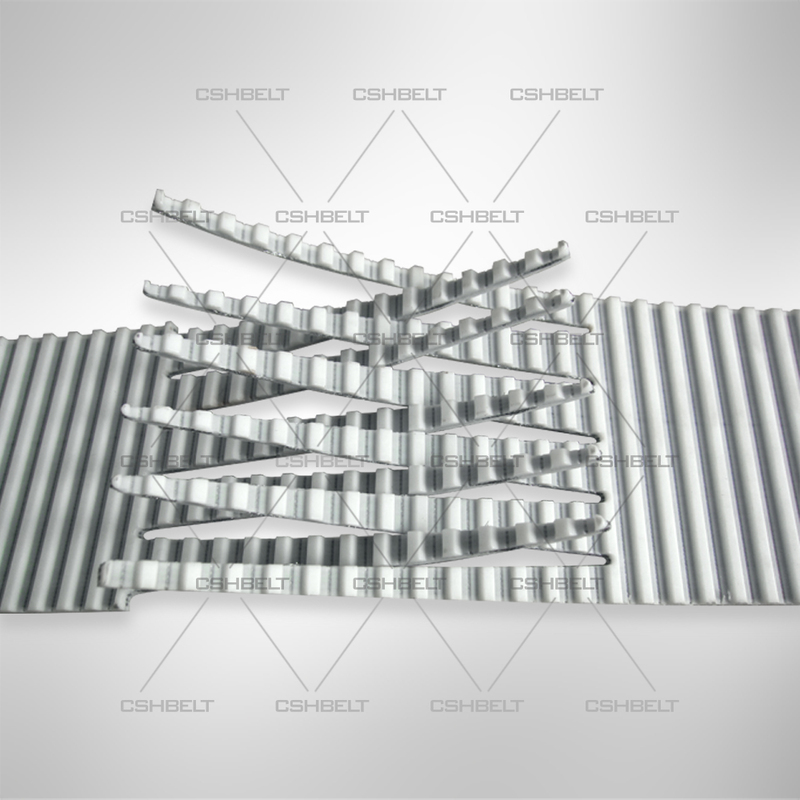 High quality raw material and the advanced craft unify enable the product to have the high strength and the good flexibility. Especialy suitable for linear motion systems and synchrounous conveying systems. 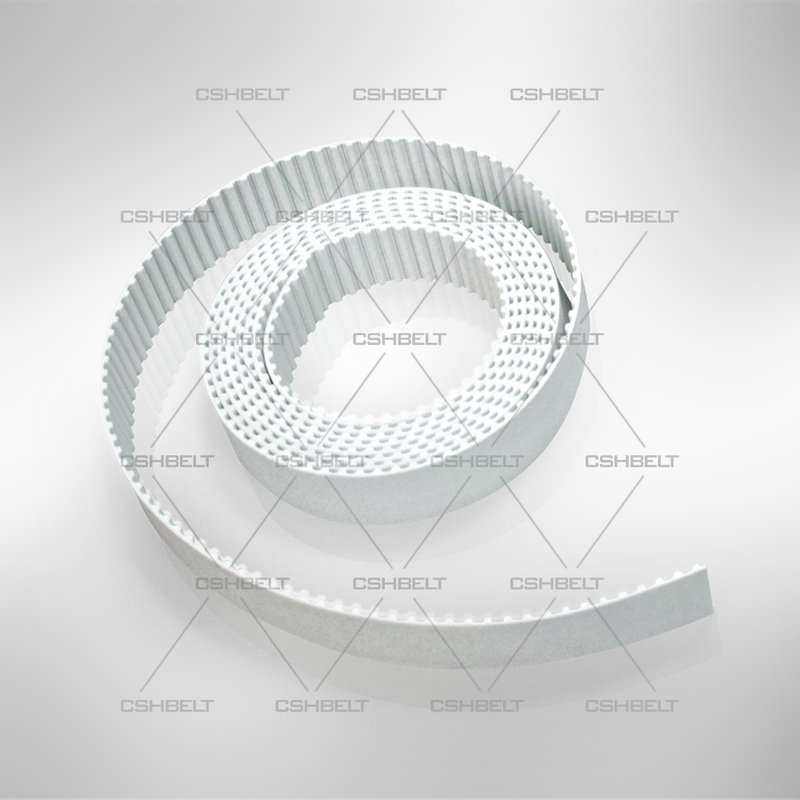 CSHBELT polyurethane timing belts can be produced to any length by welding to satisfy various conveying use. 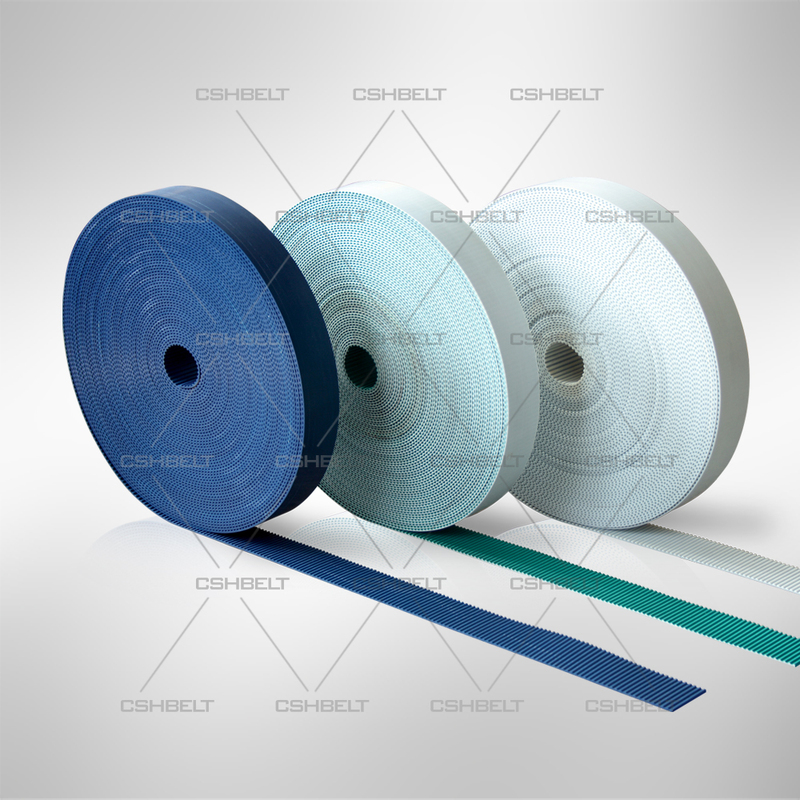 According to properties of the thermoplastic, endless belts are jointed from open end belt and can be produced to any length by welding. 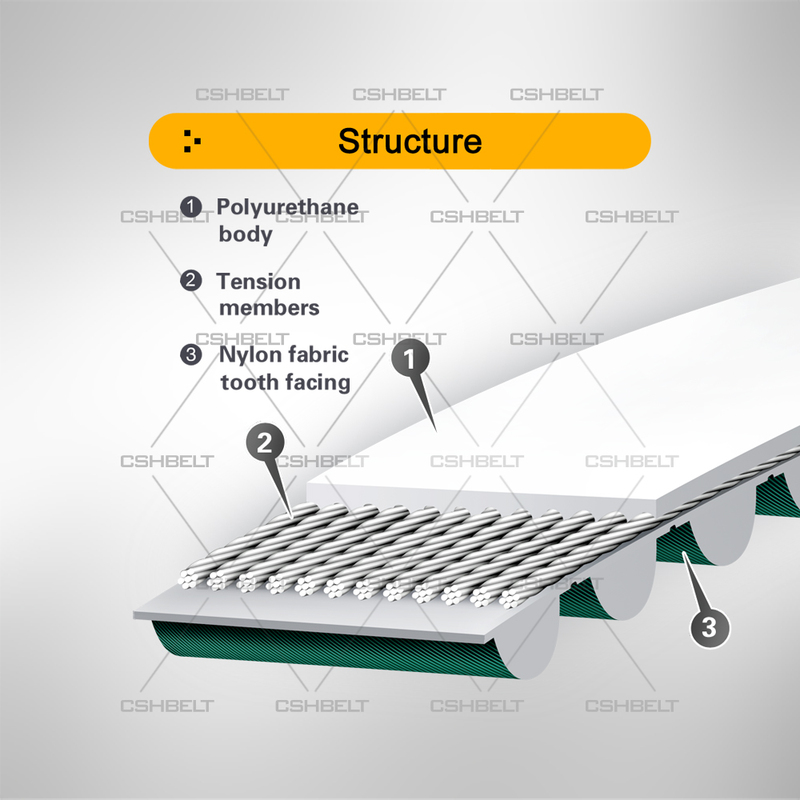 The finished joint is resistant to fatigue from flexing and tension, due to the unique symmetrical Vee shaped pattern of the joint. Endless jointed belts are suitable for conveying applications, particularly when indexing and/or positive drive is required. 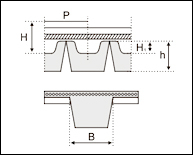 Supplementary application of flights, profiles and coatings is possible, to suit specific applications.